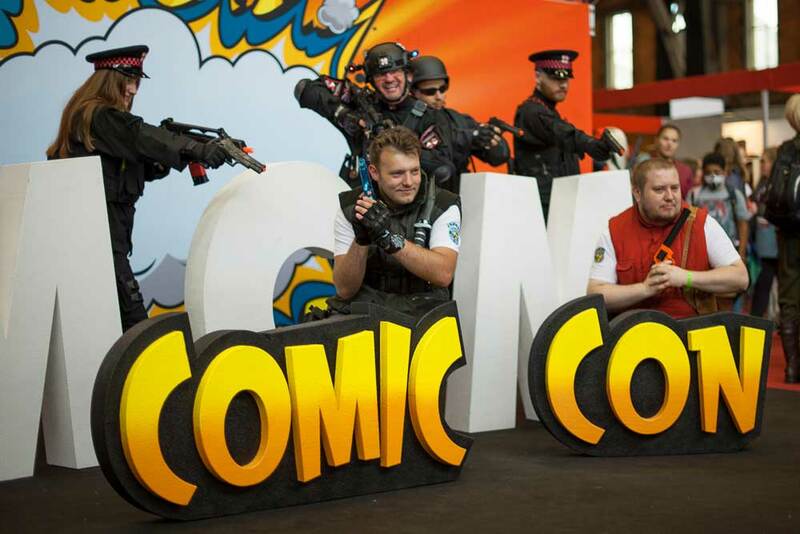 MCM Manchester Comic Con 2017 welcomed comic book artists and writers, exhibitors and retailers, including movie studios, video game and comic book publishers and anime and manga distributors. Some familiar face turned up this year including Harry Potter legend Warwick Davis, The Incredible Hulk’s Lou Ferrigno, and Power Rangers star Johnny Yong Bosch. Chris Barrie (aka Rimmer – Red Dwarf), Manu Bennett, David Hayter (famous as the voice of Solid Snake in the Metal Gear Solid videogame franchise), Star Trek actress Denise Crosby (also from The Walking Dead and The New Adventures of Superman), and a trio of stars from Doctor Who spin-off series Class – Greg Austin, Sophie Hopkins and Vivian Oparah attended the event,​ which took place at Manchester Central from Saturday July 29 to Sunday July 30. Yorkshire Independence Why We’ll Be Reet!